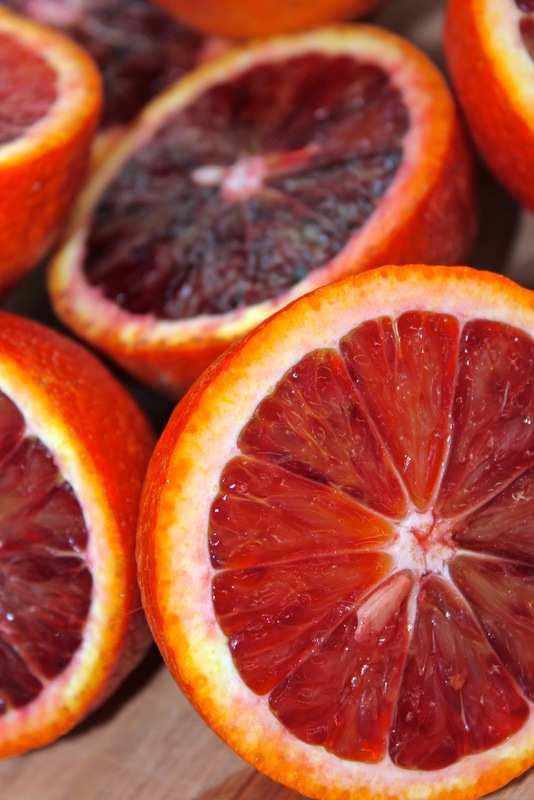 Blood oranges are simply one of the most beautiful fruits to grace this planet with their captivating ruby red color and their sweet, yet sharp and incredibly delicious taste. 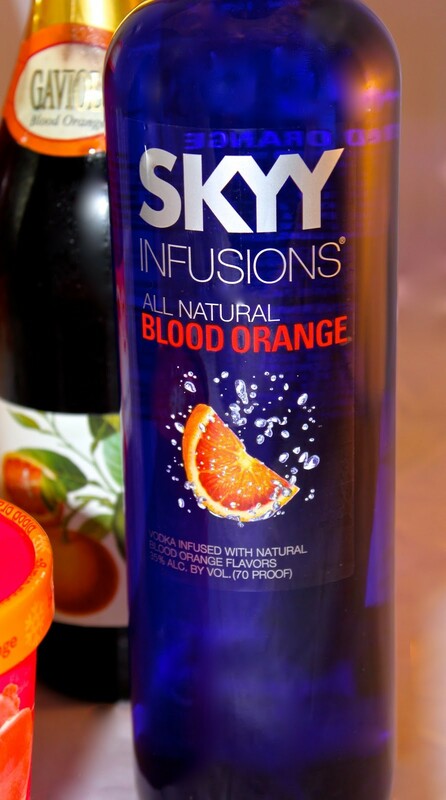 With oranges in their prime season right now, we love to guzzle down the orange elixir not only in the morning, but in the evening with a touch of booze! 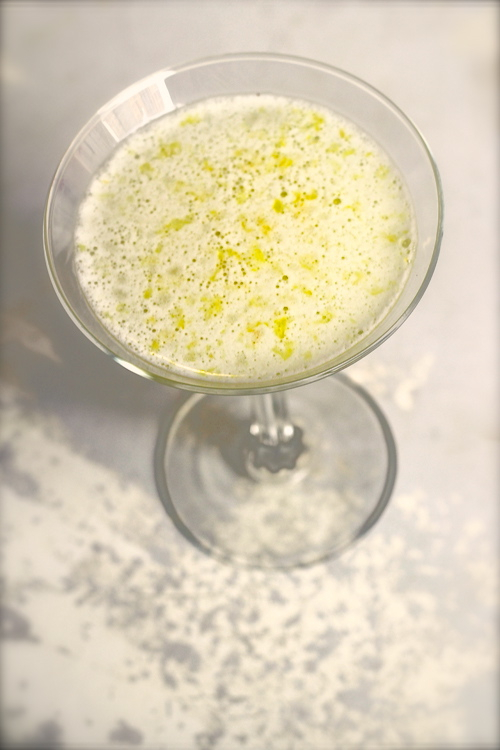 Here’s a wonderful and refreshing version of the traditional Venetian after-dinner drink, “Sgroppino”—a smooth blend of Prosecco, lemon sorbet and vodka; in other words, a boozy Italian smoothie! For this Sgroppino, I substituted blood orange sorbet in place of lemon, but both are simple, clean and delicious as a base to showcase the natural flavors of citrus. I also amped up these delightful bursts of sunshine with a generous amount of blood-orange vodka for an extra kick of citrus flavor, but not to the point where it overpowers the sorbet. If desired, cream or a little bit of egg whites can be whisked in for a more frothy and creamy texture. 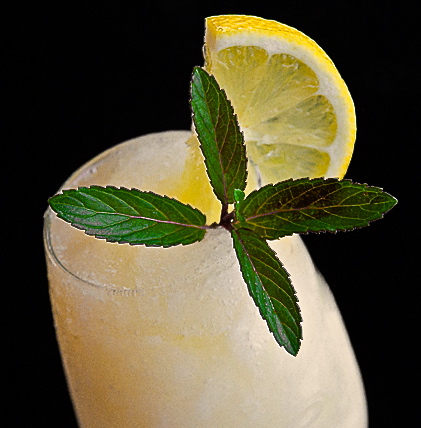 A Sgroppino is an incredible Italian cocktail prepared with lemon sorbet that creates a light, slushy, chilly and frosty libation. It is dessert, beverage and palate cleanser all in one glass. Traditionally, it is sipped after dinner as a perfect palate cleanser as the tart sorbet refreshes your tastebuds and leaves your stomach feeling lighter after a rich dinner. The name of this cold citrus cocktail comes from the word ‘sgroppare’ which literally means ‘to untie’. Some versions of this drink use gelato, but most use sorbet which has no dairy. When in Venice, you may enjoy watching your waiter prepare your Sgroppino at your table by whipping the sorbet and prosecco into a chiiled mixture that will appear like whipped snow. 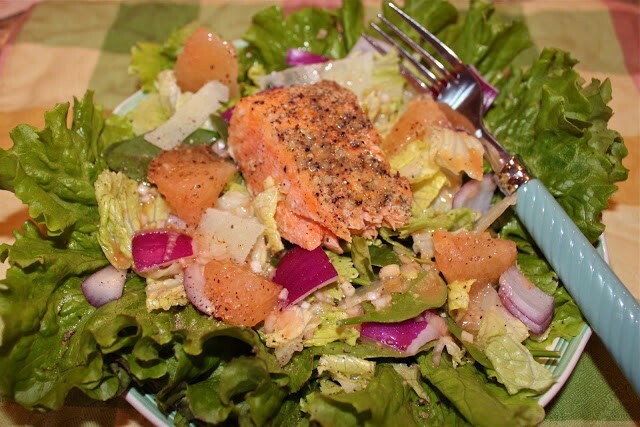 Although blood oranges and lemons are in season right now, this is commonly served throughout the year. But in the heat of the summer this cocktail is most welcome to quench your thirst! There are as many recipes for Sgroppino as there are people who enjoy this cocktail, however you can really use your instincts when whipping these up. Always use a whisk and mix the ingredients by hand because a blender or immersion blender melt the ingredients. Whisk until the mixture is neither too thick nor too thin. You just want to make sure that the mixture isn’t too thick and yet not too thin that it melts quickly. The amount of Prosecco and vodka that you add is just to the point of getting a good buzz, if you know what I mean! Be careful with the Prosecco too, because this is the bubbly stuff that will determine the thickness and consistency of the drink. Always pour in less at the beginning; you can always add more if the mixture is too thick for your preferences. 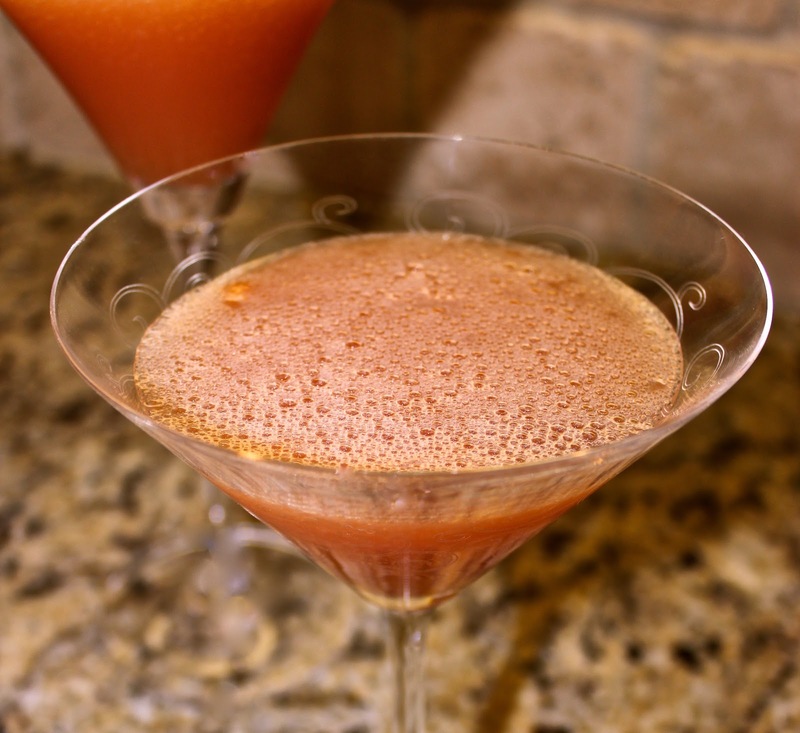 So cheers to you and enjoy a frosty glass of this lovely, pale pinkish-orange liquid with tiny bubbles on the surface . . . calling and inviting you to discover the incredible flavors of citrus within. 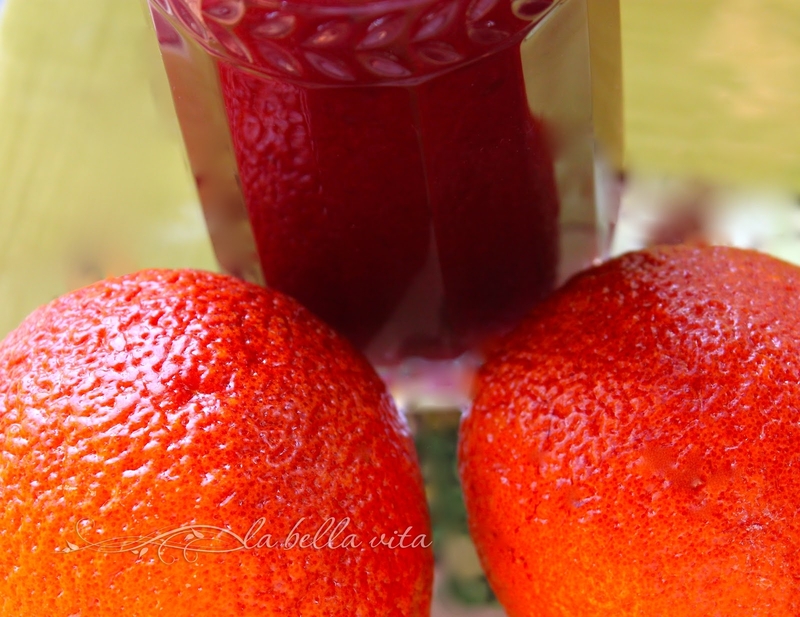 Ciao Bella Blood Orange Sorbet — oh so tart, sweet and yummy! 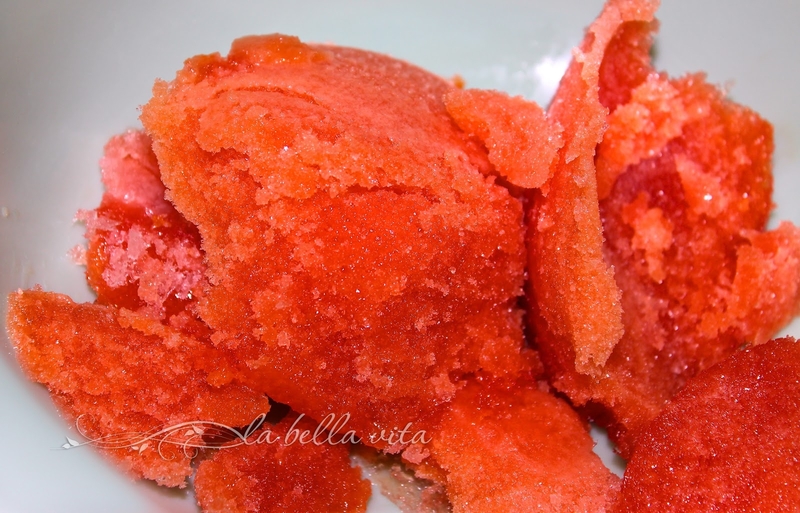 an incredibly rich, deep red-orange color of sorbet! the ruby red hue of freshly-squeezed, blush-colored blood oranges! and rich, dark color in the midst of winter! I bought the last bottle on the shelf today! Place champagne flutes or martini glasses in the freezer to chill – you’ll want a nice frosted effect on the glass, which will also help keep the drinks especially cold. Place all ingredients in a medium sized bowl. With a hand whisk, mix everything together until light and frothy. Remove your glasses from the freezer and divide the mixture equally among all glasses. Top with extra Prosecca if desired, stir gently to combine. Garnish with fresh mint leaves — optional. an inside peek at the deep, dark beauty of what seems like an ordinary orange! 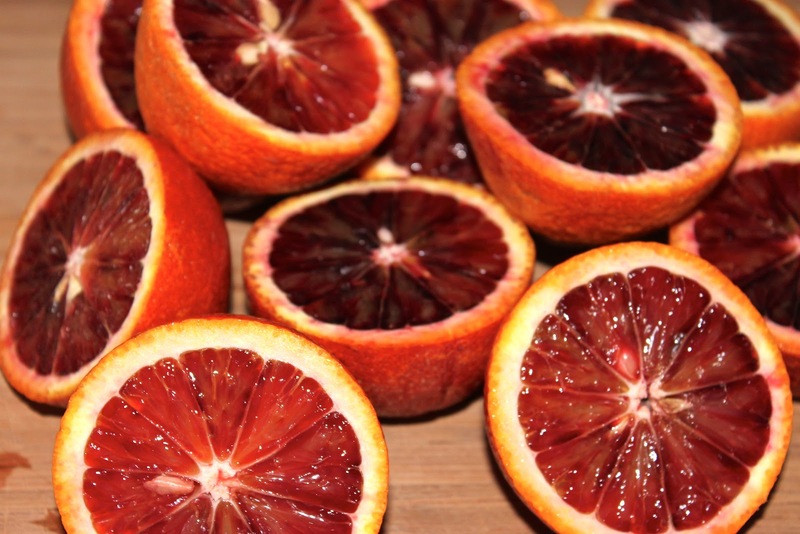 Enjoy the bounty of the season with wonderful blood oranges! 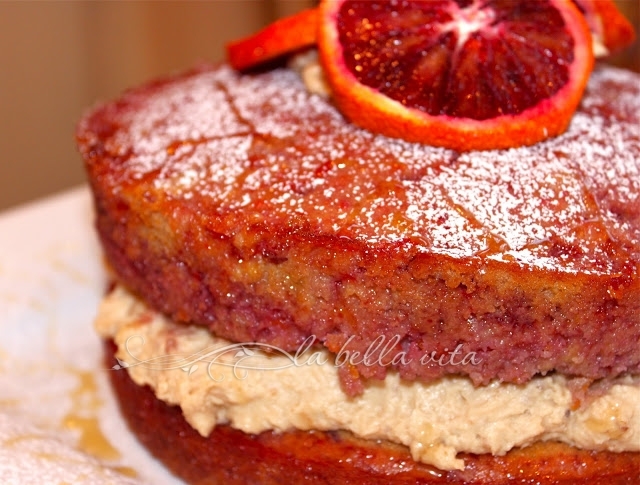 You may also like to try the following recipes using fresh blood oranges that I created and prepared a few years ago. They are quite authentically Mediterranean in flavor and very, very delicious! Here are some other great Sgroppino recipes that I’m certain will be whipped up someday soon! 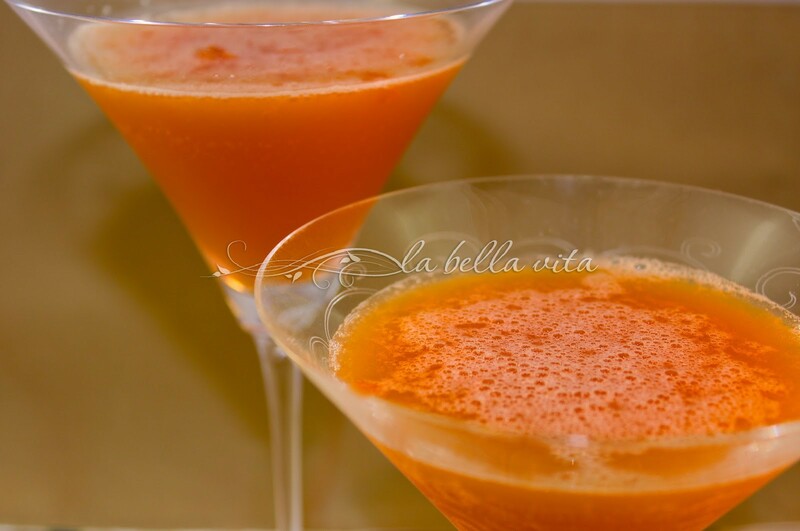 This popular Italian cocktail has endless versions to choose from! Shake gelato, limoncello and vodka in a shaker. Add Prosecco and whisk through. Serve immediately in chilled champagne flutes. Sprinkle lemon zest on top. In a stainless steel bowl or cocktail shaker, whisk together the sorbet and a splash of the prosecco until fully incorporated. Pour the Prosecco and vodka into two Champagne flutes, dividing equally. Spoon a scoop of sorbet into each flute. 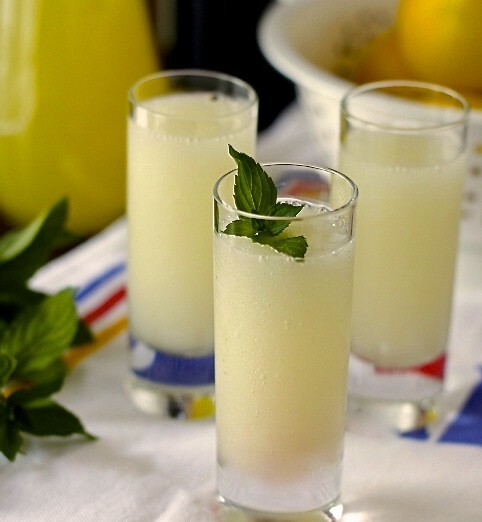 With a whisk, mix the limoncello, lemon sorbet and prosecco. In a bowl, whisk lemon ice cream until smooth. Gradually and briefly whisk by hand in the vodka and Prosecco. Whisk until mixtures is not to thick nor too thin. 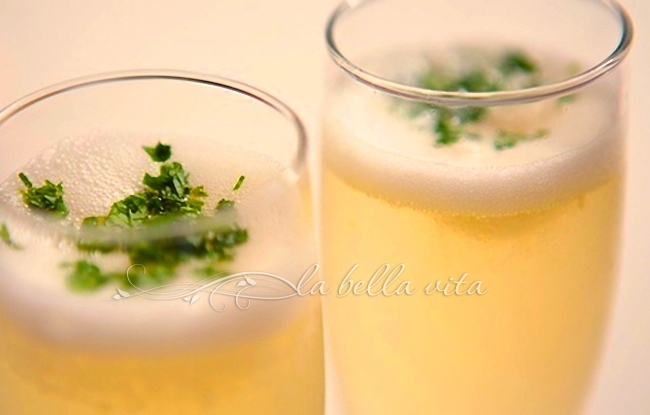 Serve immediately in chilled champagne flutes, tall glasses, goblets or martini glasses. Blood orange or lemon I would love this Roz. 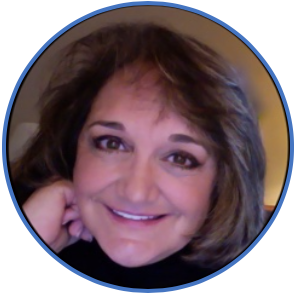 It’s lip-smacking yummy, Val! Salute’! Hmm, they all look great ! Great! I’m going to try it with lemon the next time and add in some limoncello! 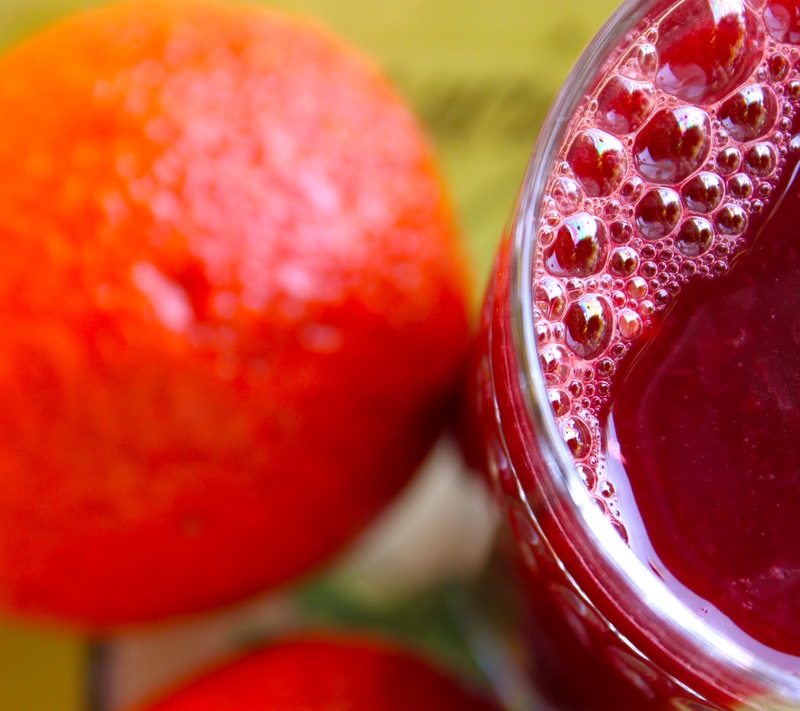 I like the blood orange, they are one of my favorite fruits. And the oranges are really good during this period, the perfect time for orange. I’ve never tasted orange sorbet, I would be very curious to taste it. Maybe I can prepare it at home and then I will be able to prepare this Sgroppino in your original version. Ilaria, I think that it would be better with gelato, but that’s very hard to find where I live out in the countryside. A very delicious cocktail that I hope to try in Venice someday! Those drinks look so good Roz! I can’t drink the hard stuff, but I wish I could sip on that one! Patricia, just replace the hard stuff with some sparkling non-alcoholic blood orange Italian soda! Good stuff! All of these looks delicious! 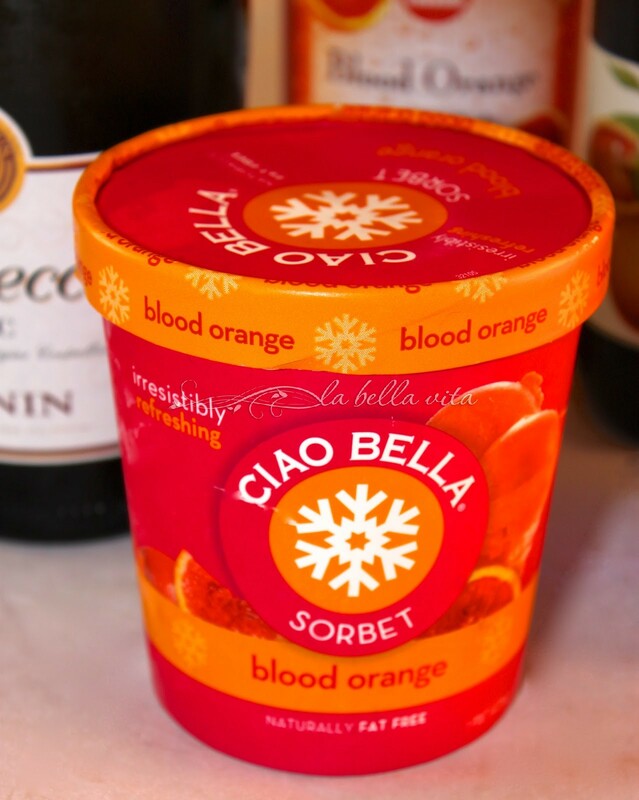 I love Ciao Bella Blood Orange Sorbet for your drink looks perfect and one that I definitely have to try! Great post! Thanks for these wonderful cocktails!